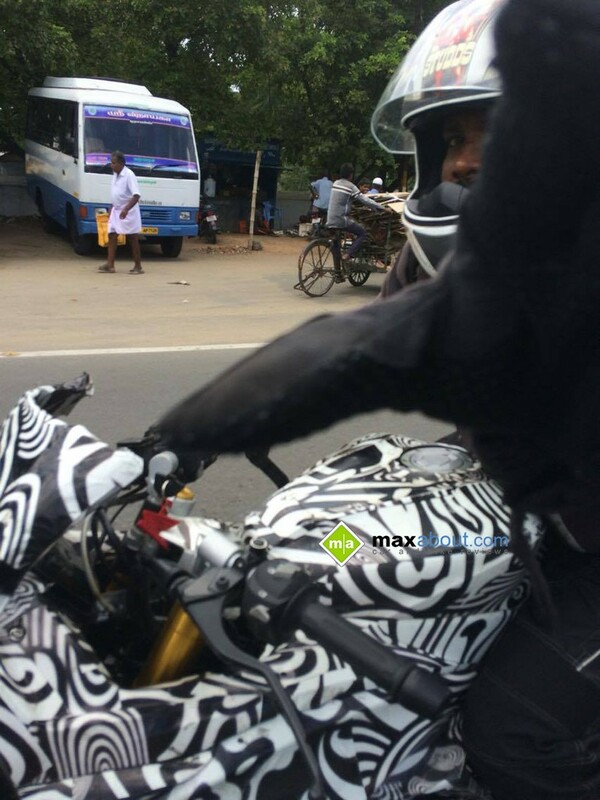 Update (27th January, 2017): The much-awaited TVS Akula 310 has been spied again, this time through a short 13 second video shot on the Bengaluru-Hosur highway. 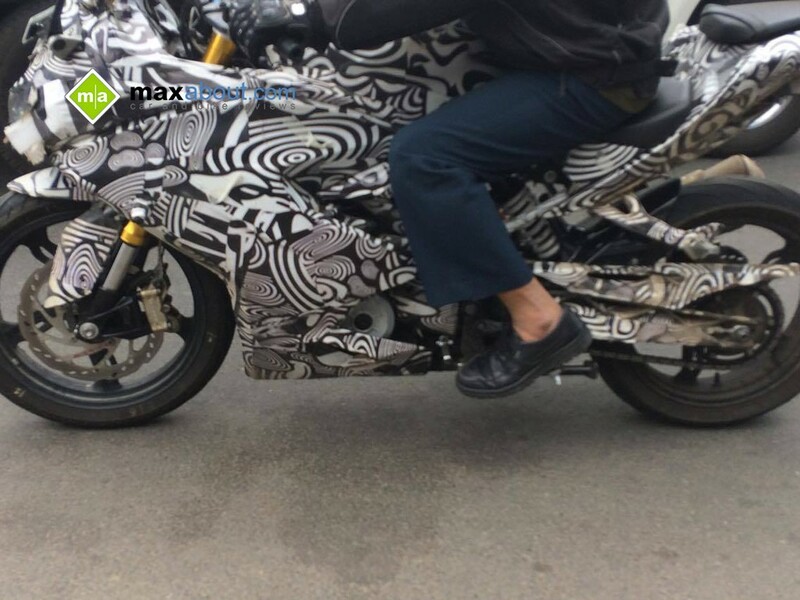 The video clearly shows the side profile of the bike, engine fairing, front DRLs, and the side exhaust (from the BMW G310R). As of now, TVS has not made any official announcement regarding the launch of Akula (Apache RTR 300), it is expected to be launched in India by April 2017 and would be priced under INR 2 lakhs (ex-showroom). 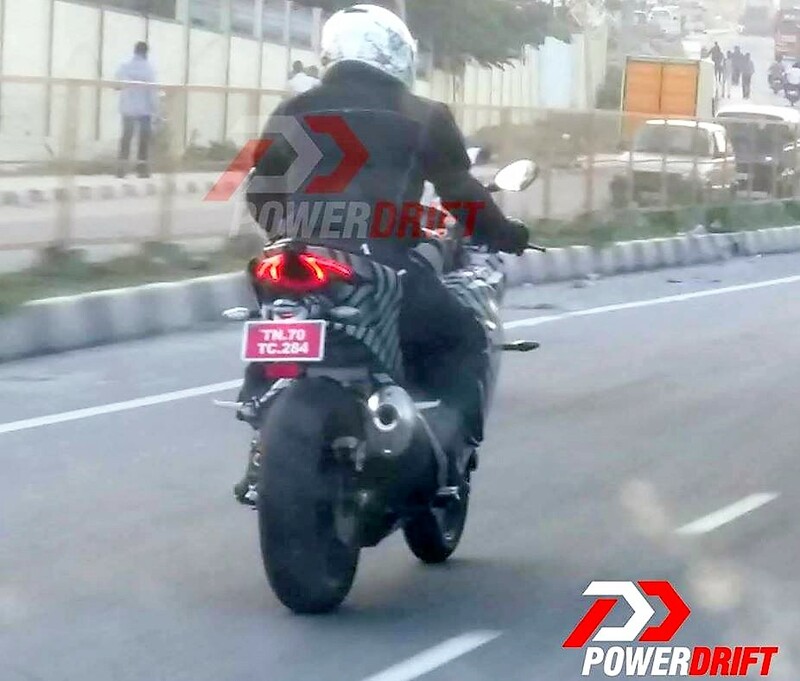 Update (23rd December, 2016): The recent spyshot of TVS Akula 310 clearly shows the pattern of its LED lights. The pattern resembles two separate spikes that have gap between both the tips. The lights are in sync with the tail light design, clearly wrapping around the sharp ending section. 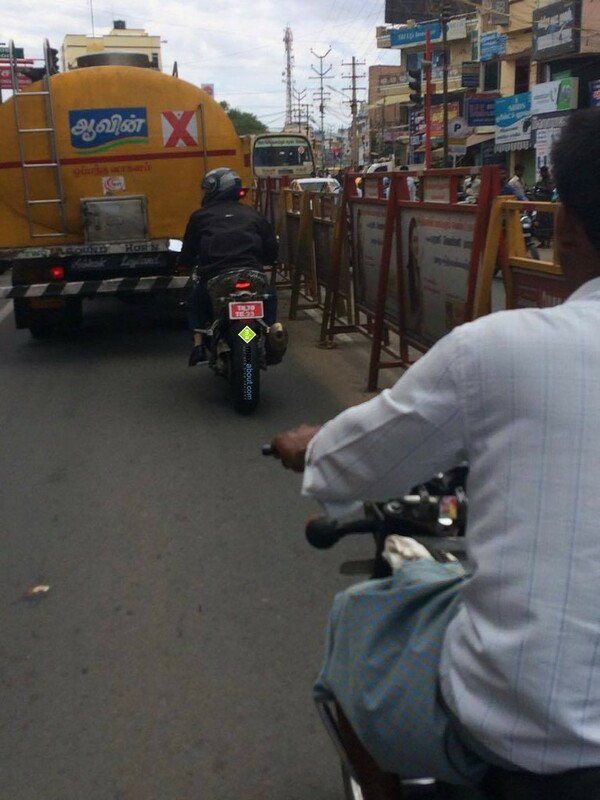 The photo was shared by PowerDrift, showing the stance of the bike when seen from the rear angle. The tyre looks beefy while a hugger is missing from the test mule. 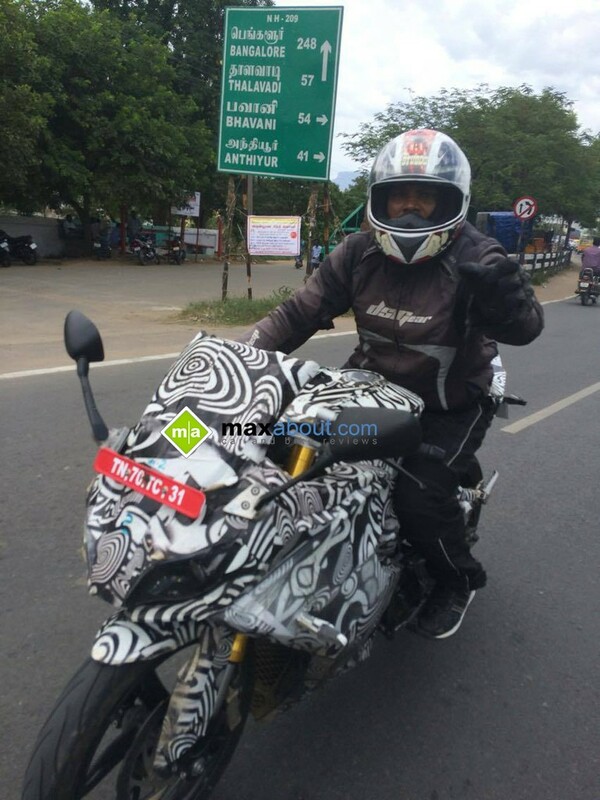 Original Article (12th September, 2016): Thanks to our Facebook fan Meelath Ahamed for sharing photos of the upcoming TVS Akula 310 a.k.a Apache RTR 300. The bike looks promising with its perfect cuts and curves. 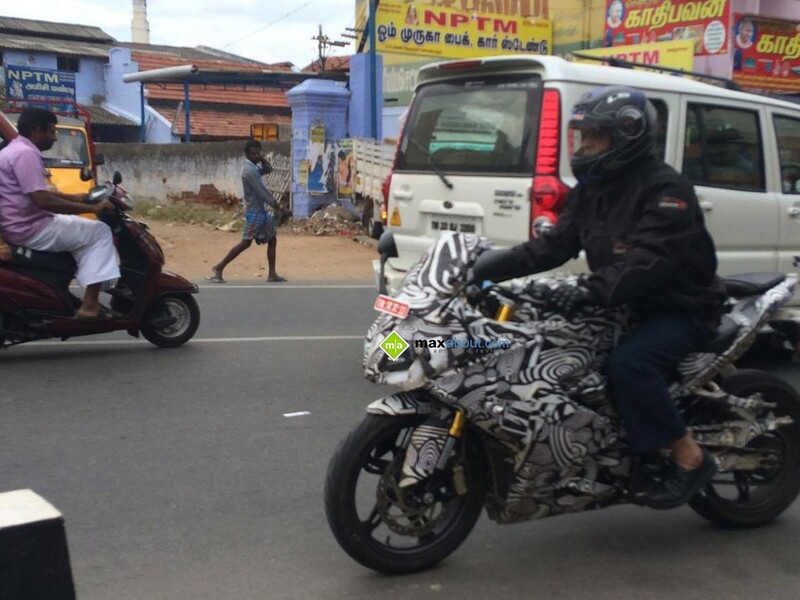 The camouflaged test mule spotted here comes with a differently shaped front fender, most probably fixed with extra long side panels for pushing the air away from its faired design. The features like USD forks (finished in Golden shade), 5-spoke alloy wheels and thick exhaust can have been carried forward from the BMW G310R on the motorcycle. The images are clean enough to realize the depth of side panels of the fairing, getting an exact idea of how the motorcycle will look in its production version. The foot pegs have a sporty position while the tail end carries a R15 inspired seat. 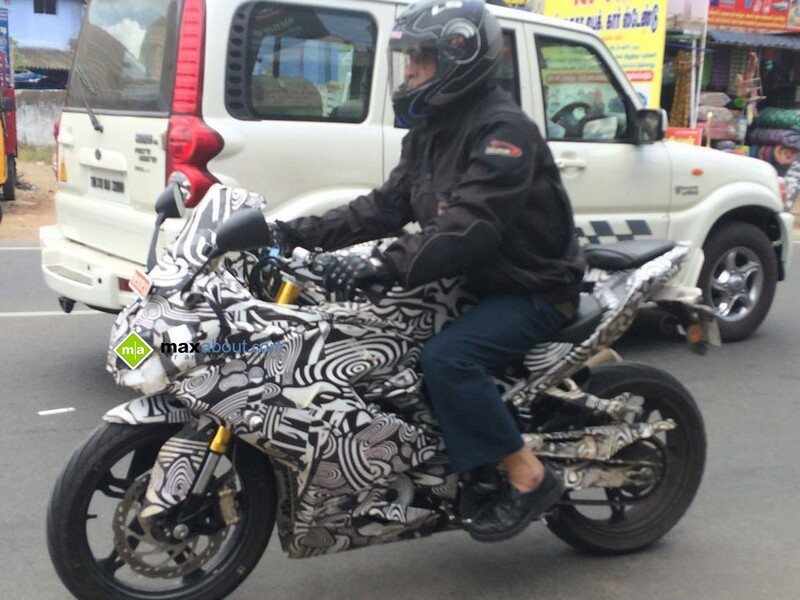 The motorcycle clearly visualizes its front end with dual projector headlamp having Gloss Black surroundings. Unlike Yamaha, there is a lot of space between both the headlights, most probably holding the DRL’s The front visor is currently squared while it may change after the testing results. The side fairing neatly surrounds the front headlight fairing and looks more of the super sport class than ordinary faired motorcycles. The tail light is a straight line of LED lights while the production version may also include a tyre hugger for sure. The handlebar is clip-on type, adding more sporty appeal to the already stunning design. The Akula 310 is powered by 313 cc, 1-cylinder engine producing 33.6 BHP @ 9500 rpm and 28 Nm @ 7500 rpm. It comes mated to a 6-speed gearbox. The tuning on the Akula 310 can be a bit different from the specs above as they are from the BMW G310R’s engine. Most of the components on both of the bikes would remain the same. 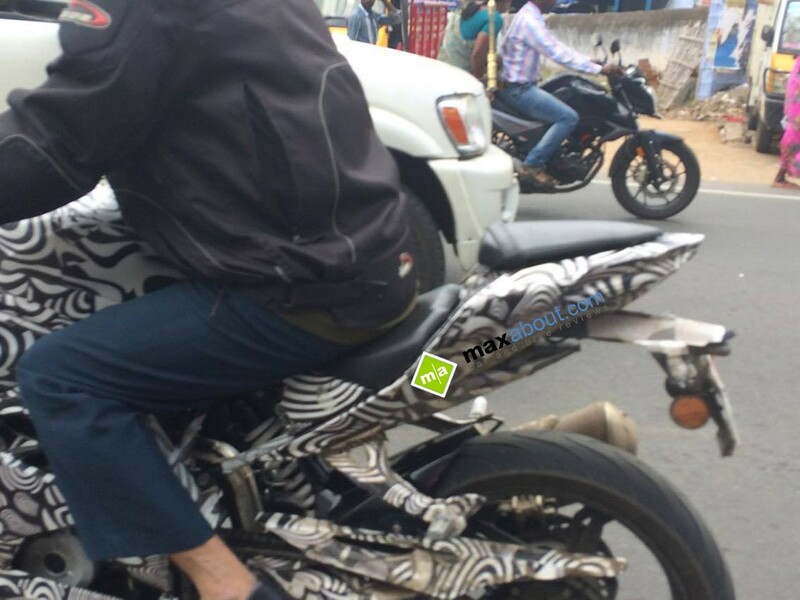 TVS Akula 310 (Apache RTR 300): Clearest Ever Spy Photos!